Home black ops cia false flag front jihad luton Nasserdine pet Taimour Abdulwahab terrorism Islam Net: How do we know those shouting about Jihad are not bought by the CIA as Morten Storm? "A man named Morten Storm from Denmark converted to Islam in the 1990s. According to the news, he later on radicalized and became a friend of Anwar al-Awlaki. to use violence and fall under the secret services's definition of ''radical Muslims''. 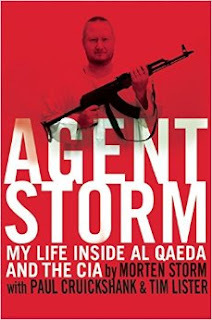 not recognize Storm as a CIA agent." were there from MI5, Jed from the CIA, and two Danish agents. The British Foreign Intelligence Service, MI6, was represented by Emma. security. And I showed them the encryption software as an encore. 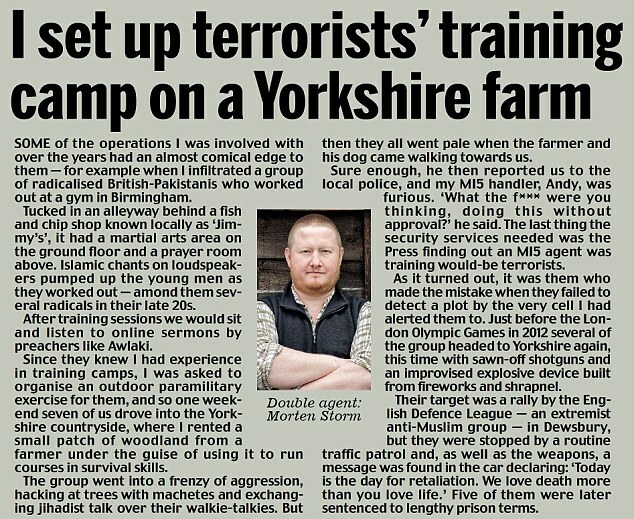 As a thank you for my efforts, the British had arranged for me to go on a bushcraft outdoors course in East Sussex. 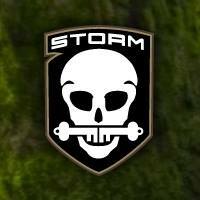 It was run by Woodlore, the company owned by Ray Mears, a survival expert who had turned bushcraft into a television series and a successful business"
I poured much of my energy into a new venture – Storm Bushcraft – an adventure travel company I had registered in the UK. A couple of Birmingham militants had begun questioning how I could travel back and forth to Yemen and East Africa with such ease. I had insinuated that I was making good money from selling drugs for the cause, but I badly needed a watertight cover story. in the woods around Korsør. My endurance training with the British in Aviemore [Scotland] had rekindled my enthusiasm. And after my trip with British intelligence to the Ice Hotel in northern Sweden in March 2010, I had gone further north for an Arctic expedition course. The cold was so intense that it was difficult to breathe. But I was in my element – learning how to survive in the Arctic by hunting, tracking and lighting fires. The course was led by Toby Cowern, a member of the Royal Marines Reserves. travel. PET [Danish Intel]were delighted; they wanted local eyes and ears in East Africa because of the number of Scandinavian Somalis who had joined al-Shabaab, and they were getting them for free. 2011: There was a lull in my intelligence work in early 2011. The Danes were still paying my retainer but had no overseas missions. Instead I focused on developing Storm Bushcraft. I had begun to see the venture as a real business rather than as just a cover. " "Beside his adventurous travels to Asia, Middle East, Africa and Europe he spent part of his life living with the beduins in the Desert in the North of Yemen. He also hiked the Atlas Mountains in Marocco, various trip in Kenya/Tanzania on Safaris and camping trips. 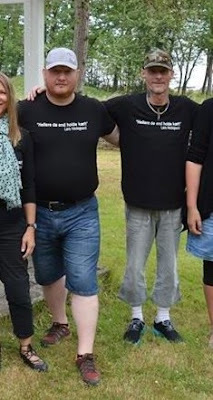 Part of his nordic up bringing was to attend Arctic Survival in North of Sweden and more recently attended many Bushcraft/Survival courses in the UK." Founder of StormLockPicks.com and I guess some would say a "frustrated" engineer! I believe in making extremely high quality tools, each meticulously engineered out of the finest materials available, hand finished and individually inspected. I am proud to have my name on the tools that we manufacture and am even prouder to have a like minded team working with me. As my name states, I am a locksmith in the US Army and my specialism is NDE (Non-Destructive Entry) techniques. I have a great deal of experience in this field and bring my knowledge to the DreamTeam, where I assist in the development of new tools and techniques. I am also the designer of the “Covert Clam Shell”, which is a plastic milled moulding/impressioning box that is small enough to conceal, with an interlinking shell design and has no metal properties. " 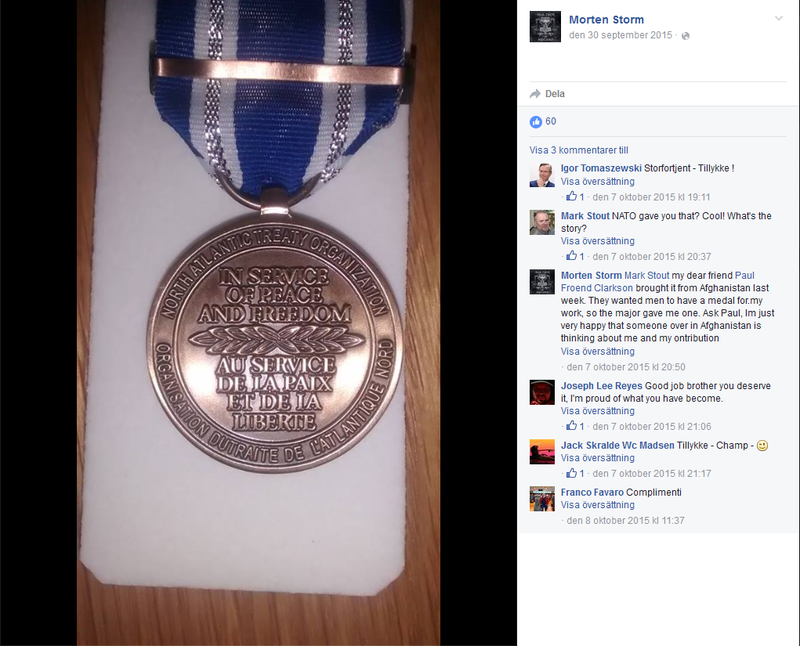 Considering that Morten Storm converted to Islam in 1997, the same year Future Training Ltd was established and left Islam in 2006 after which a number of 'Storm' related companies were registered there is something that doesnt seem right with his story. The timeperiod Morten Storm claims he was a muslim convert, happens to be more or less the same time period Future Training Ltd existed. 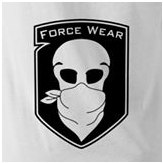 #4 and #6 describes British SAS and Spec Ops wraps. PET agent Morten Storm, who detailed last week how he infiltrated al-Qaeda’s inner circle and directly contributed to the targeted killing of American-born terrorist Anwar al-Awlaki, was an agitator who attempted to radicalise Muslim youth in England, a Birmingham community leader has told The Copenhagen Post. According to Abu-Eesa Asif, the host of a weekly radio programme on Muslim issues and a leader in the local Muslim community, Storm was an “infiltrator” with “an incorrect understanding” of Islam who attempted to incite the youth of Birmingham into becoming radicals. 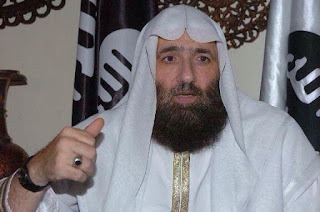 Like many extremists in Luton, Storm became a follower of the preacher Omar Bakri Mohammed and his organisation al-Muhajiroun, getting invited to special “VIP lectures” - radical talks behind closed doors after the public lectures had finished. They launched a campaign called “Operation Disrespect” to disrupt rallies by George Galloway’s new Respect Party, which was targeting Muslim voters, by jumping on stage and grabbing the microphone to call for shariah law during the 2005 general election. In 2000, Bakri admitted to training British Muslims to learn "firearms and explosives use, surveillance and other skills" and "would be expected to join a jihad" abroad. He also boasted: "The British government knows who we are. MI5 has interrogated us many times. I think now we have something called public immunity. There is nothing left. You can label us ... put us behind bars, but it's not going to work." Was Anwar al-Awlaki a U.S. Agent? The documents were released as a result of the court order in a Freedom of Information Act (FOIA) lawsuit, Judicial Watch v. U.S. Department of State and Federal Bureau of Investigations (No. 1:12-cv-00893), which was filed on June 4, 2012. 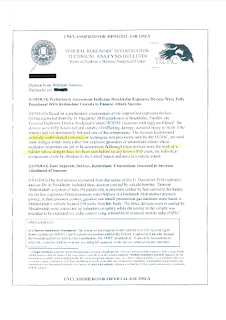 Judicial Watch first asked for the documents over three years ago, in September 2011. “These new documents raise troubling questions about the FBI’s dealings with Anwar al-Aulaqi, a known terrorist that the FBI knew had facilitated the 9/11 attacks. The FBI’s refusal to assist the 9/11 Commission is an outright scandal that deserves further scrutiny. I have little doubt that President Obama assassinated a terrorist that was an asset of the U.S. government,” said Judicial Watch President Tom Fitton. An Al Qaeda leader who is one of the most wanted men in the world was invited for lunch at the Pentagon in the aftermath of the September 11 terrorist attacks, a new report has claimed. I first met Morten back in 1997 when he visited Yemen. Over the next decade I would continue to advise him to learn his religion, abandon his extremist views and adopt the Salafi position against extremism. 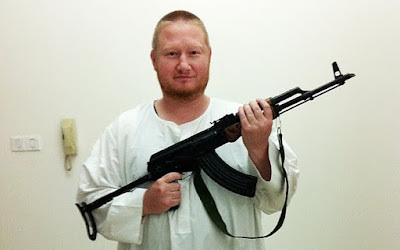 But unfortunately, Morten elected to be mentored by the mentor of Usama bin Laden Abdul-Majīd Az-Zindānī. In 2005 Morten emailed me and several other Muslims a 146 page rant, denigrating the Salafis and calling them “fake”for their position against the Jihadist and terrorism. And now in 2015 as he tries to promote his book Morten pretends to be unaware of Islam’s well documented position against extremism and terrorism! 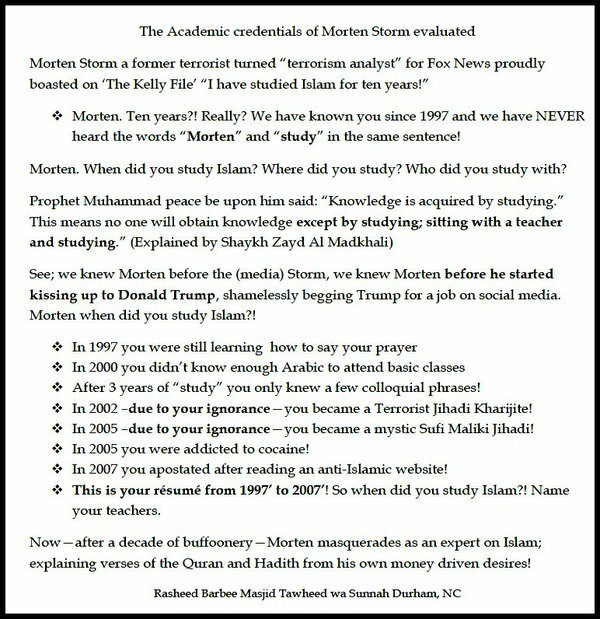 Here are the exact words of Morten Storm as he testifies to Islam’s position against terrorism. Ask Morten if he sent this email, and then ask him why he’s pretending to be unaware of Islam’s position against extremism today. "This scumbag lived in Luton and mixed with brothers for a few years and was an agent all along." "At first it was exciting to hear his stories, but then he all he would talk about was killing and doing this and that and the other. He was such a loud mouth that nobody wanted anything to do with him. He would come out with the most absurd claims. He sat with sheik uthaymeen and sheik muqbil. He had done this and done that and he could just travel anywhere and get into anything.."
".. all these brothers escaping from prison and getting instant stardom in jihadi circles, more reasons to be skeptical now." "The latest news is that he apparently went to many brothers at Islamic centres and tried to incite them to do terrorist acts. Lots of brothers are coming forward now. 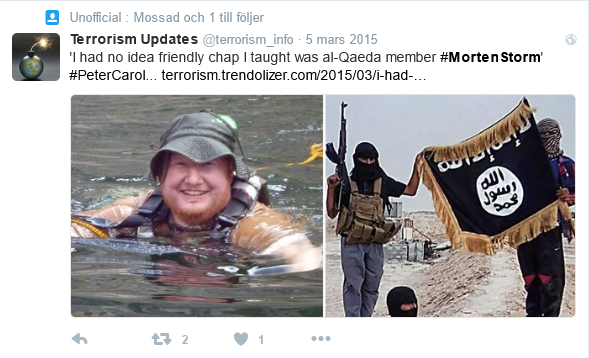 Incitement is illegal in Denmark, agents are not allowed to incite anyone to do anything." "He was widely warned against in the Islamic centre and was not welcome there"
"I swear by Allah nobody would talk about killing and blowing things up than him. Every so often he would come out with some new plan and nobody wanted anything to do with him. He needed money to do this or to buy this but he never actually did anything and people tired of him so he would move from group to group." "If tomorrow in Luton another Morton comes along and talks about killing, war and blowing innocent people up then ill take him to the only place we know that can help him achieve his goals.. Luton Army Recruiting Centre"
"Everyone knew he was having chats with the secret service. He couldn’t even keep his gob shut about that! He would talk about how he is playing them and is going to use them. If brothers wanted to expose him they could. They could even talk about his drug usage. How is that habit of yours Morton?" "The drug dealing and inciting people to terrorism are serious allegations that the British Police should be looking into." "I have known this person from 2003 from Luton, he had all the traits then, that you wouldn't associate with a sincere believer. He caused trouble in the Call To Islam center back in 2003 and was kicked out." "When this kafir lived in alum rock Birmingham, he used to go round bragging about how he just got back from Somalia where he met up with the shabab and personally handed them £250 thousand.."
Morten Storm, who worked as an informant for five years, had forged a close relationship with the man -- a Kenyan called Ikrima -- who has been responsible for planning attacks inside Kenya for Al-Shabaab. Taimour Abdulwahab, skandinaviens första självmordsbombare, som 2010 sprängde sig själv i luften i centrala Stockholm var nära vän med Morten Storm. De gick i mosken och spelade fotboll tillsammans. Uppdrag granskning avslöja att bomberna i själva verket var avancerade och att bombbyggaren var tränad i att konstruera bomber. De nya uppgifterna kommer från en hemligstämplad amerikansk FBI-rapport som Uppdrag granskning tagit del av. I rapporten skriver bombexperter från FBI att bombernas konstruktion var relativt ”sofistikerad” och att bomberna var ”fullt fungerande”. De amerikanska experterna har undersökt bombdelarna noggrant. I rapporten beskriver de hur bomben konstruerats på ett sätt som sedan tidigare var ”helt okänt för FBI”, med dubbla eller tredubbla kopplingar till sprängmedlet för att ”maximera chanserna för att bomberna ska sprängas”. I al-Qaidas tidning finns inga uppgifter om den avancerade teknik som nämns i FBI-rapporten. Menni, who met Abdulwahab in Luton, Bedfordshire, was found not proven of a conspiracy to murder charge. Police recovered a mobile phone from Abdulwahab's body from which he had made two calls earlier that day to a mobile in Glasgow. Within days, Menni - who was known to some in Glasgow as an asylum seeking Kuwaiti called Ezeeden Al-Khaledi - had been identified as the owner of the phone. He was placed under surveillance and the subsequent investigation revealed extensive links between the two men. The court was told that Menni is believed to have come to the UK in 2005. From April that year he worked at Magna Seating at Dunstable, making seats for the automotive industry. He was employed under the name of Emmanuel Philip Bernard, and claimed he was French. He lived in Luton, where he became friendly with Abdulwahab. Detectives raided his 19th floor tower block flat in Glasgow's Whiteinch area on 7 March last year. He was found guilty in July. Police later discovered that Menni had a number of bank accounts in various aliases through which he transferred cash to Abdulwahab to fund the terror plot. Menni deposited amounts totalling £5,725 which helped pay for Abdulwahab's trips abroad for the "purposes of Jihad" and the Audi car used in the bombing. Algerian Nasserdine Menni, 39, was jailed for seven years after being found guilty of supplying money. Iraqi-born Swedish citizen Taimour Abdulwahab blew himself up in Stockholm in December 2010. Two people were hurt. Appeal judges have now cut Menni's jail term to three years meaning he will be freed shortly and likely deported. The trial has revealed that a man suspected of helping Abdulwahab construct the bomb has not been arrested. The other item was an international driving document which again had the name of Abdulwahab. This time there was an address in Liege, Belgium, listed. What If Foreigners See the United States as an “Exporter of Terrorism”? Is Luton a breeding ground for terrorists? Is MI5 foiling terror plots of its own hatching?